NEW YORK CITY, N.Y. — By Linda Porter’s own admission, the 1946 film Night and Day portrays the “perfect” love story between Porter and her husband, the late, great composer-lyricist, Cole (1891-1964). 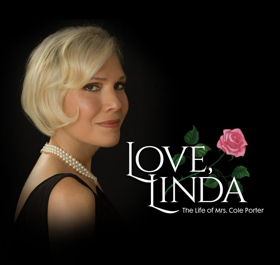 By contrast, the bio-play, Love, Linda: The Life of Mrs. Cole Porter doesn’t pretend that the couple’s marriage was perfect. Neither is this play, which needs more focus. Still, it amounts to an entertaining, amusing one hour. The Off-Broadway venue, The Triad Theater on Manhattan’s Upper West Side, recently completed a production of the one-woman show. But while you might have missed the play, audiences can look forward to one of Porter’s biggest hit shows. It’s Kiss Me, Kate, a musicalized version of Shakespeare’s The Taming of the Shrew. That show, which will star the great Kelli O’Hara, will begin previews on Broadway on Feb. 14. Love, Linda includes two songs from Kiss Me, Kate, which neatly fit into the former’s context. Meanwhile, “Wunderbar” celebrates their love. Before singing it, Mrs. Porter describes how Kiss Me Kate’s Philadelphia opening amounted to a rousing success. Afterwards, “we sat by the fire, gabbing and gossiping, we fell asleep in each other’s arms, and each other’s dreams,” she says. Still, there was apparently a darker side to this marriage that neither Love, Linda nor the 2004 bio-film De-Lovely ignores. For instance, during one point of Cole Porter’s illustrious career, Hollywood came calling. If we’re to believe Linda, her husband wasn’t quite as attentive toward her during his Tinseltown days. Woah! That last line seemed to come out of nowhere in this otherwise optimistic, romantic play, which ran in The Triad’s cabaret-like auditorium. But these two lovebirds couldn’t remain apart for long. And when Linda heard that a horseback riding accident shattered both of Cole’s legs, she had to forgive him. Without a doubt, this play paints Cole as an imperfect, but admirable figure. 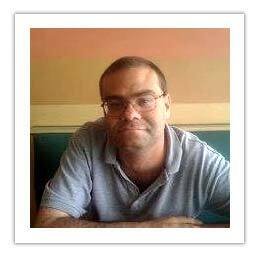 Here he was, unable to walk, yet he insisted on continuing to work—and succeeded admirably. At this point in the play, we also feel sympathetic toward Linda, whose emphysema took its toll – and eventually killed her. However, as embodied by Stevie Holland, we get no hint that she’s sick. Linda comes across as a robust, elegant, dreamy and charming woman who is genuinely in love with her husband. Thanks to the small size of the theater, Holland doesn’t just speak to the audience. Indeed, she practically confides in us, as though we’re part of her and Cole’s inner circle of high society friends in France. Holland, an internationally-acclaimed vocalist, performer, songwriter and recording artist, shines in the role. With the aid of director Richard Maltby Jr., Holland varies her positions on stage to avoid stagnancy. This renowned performer fully embodies Mrs. Porter, speaking and singing with vivid recollection. Sometimes, she closes her eyes, to accentuate emotion. Also, Holland delights us with her robust, yet honeyed singing voice. A live band accompanies, playing Gary William Friedman’s lively, jazzy arrangements. They provide a bounce to the music. Meanwhile, the atmosphere and lighting are generally dark. This suggests Porter’s elegant style. Holland wears a black outfit in keeping with that ambiance. While the dress, designed by Pamela Dennis, conveys sophistication, adding some sparkles to the costume would further reflect the Porters’ lavish lifestyle. To the production team’s credit, the scenic design does just that. It features little more than a black piano with pink roses atop. In addition, a framed photo of Cole rests nearby. Wisely, Holland fondly glances at the photo at least once as she speaks, but could do so more often. Perhaps, she could’ve even held the framed photo to her heart, which would even further convey her intense love for her husband. Altogether, though, Holland surely has won over Cole Porter fans. And for those not familiar with his work, she’s offered a sparkling introduction to a late genius of the musical theater.